Was Papley's opening goal touched? Sydney forward Tom Papley kicks the first goal of the game, but should the umpires call for the review? Hawthorn has run over the Swans in the 2nd half winning the clearances (22 to 17), inside 50's (26 to 21) and goals from intercepts (6 to 2). Hawthorn have gained the advantage in the clearances (44 to 35) and contested possessions (139 to 131). They have been led by Tom Mitchell with 16 contested possessions and 7 clearances. Hawthorn have been more effective from their defensive half, launching 3 goals to Sydney's 1 from intercepts in this zone. Liam Shiels has been one of the most influential players on the ground with 6 score involvements, 9 inside 50's and 5 clearances. 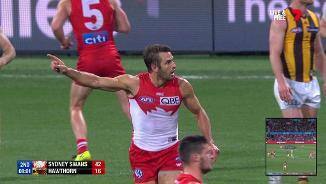 The Swans have launched a score from 50 per cent of forward half chains, compared to the Hawks who launched a score from 29 per cent of these chains. Harry Cunningham has the most metres gained for Sydney (480), significantly more than Hawthorn's leader; Liam Shiels (320). In that quarter the Hawks had just 1 more inside 50 (11 to 10), but they were able to create marks inside 50 (6 to 1). As a result, they outscored the Swans 4 goals to 2. The Swans have won 5 forward half intercepts for the quarter, creating 2 goals from this source. George Hewett has won 8 clearances and 14 contested possessions, in both cases 3 more than any other player. The ball has been locked in Hawthorn's half this quarter (65 per cent of the time). They have had twice as many inside 50's (8 to 4) and capitalized, creating 3 goals from these entries. Hawthorn's disposal efficiency out of it's defensive 50 is just 48 per cent. This has been a major source of scoring for Sydney with (4.3.27) launched from forward half chains. Heath Grundy has been pivotal in defense with a game high 8 intercepts (3 marks), 217 metres gained and 88 per cent disposal efficiency. The Hawks have had 9 of the last 12 inside 50's and won the uncontested possessions (34 to 19) in this time. Sydney dominated the uncontested possessions (108 to 68) and inside 50's (29 to 25). 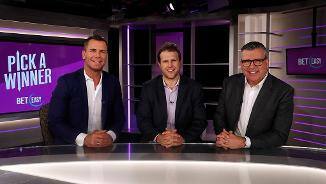 They converted 43 per cent of their attacking midfield chains into a score, compared to 15 per cent for Hawthorn. The Swans have dominated the midfield area of the ground. They have launched (4.6.30) from 28 chains in this zone, compared to (0.3.3) from 33 chains for Hawthorn. Hawks have been able to launch a score from 40 per cent of attacking half intercepts. But, they have converted just 16 per cent of these shots. Sydney have launched 4 goals to 1 from forward half chains , they have had 60 per cent time in forward half. Sydney lead the uncontested possessions (87 to 45) and are using the ball at 68 per cent disposal efficiency. As a result, they have launched (3.3.21) to (2.2.14) from intercepts. Harry Cunningham has a game high 219 metres gained, 4 intercepts as well as 2 scores launched from these intercepts. Sydney's pressure was immense in the first quarter, they applied more tackles (24 to 11) and their tackling efficiency was 83 per cent. In the last 5 minutes, the Hawks have won the clearances (4 to 0) and created 5 forward half intercepts, resulting in (1.2.8). Hawthorn's kicking efficiency in the forward half (41 per cent) is significantly lower than Sydney (64 per cent). Both teams are launching their inside 50's from the defensive half. Sydney has created (3 inside 50's from 16 defensive half chains) and Hawthorn (4 from 12 chains). Sydney lead the uncontested possessions (29 to 11) and are using the ball better by foot (76 to 50 per cent kicking efficiency). Hawthorn has had 56 per cent time in forward half to start the game. The Swans have only created 1 inside 50 from 10 defensive half chains. Their has already been 9 stoppages in the first 5 minutes, Sydney currently leads the clearances (5 to 4). Since 2015, Sydney has won the contested possession count by 16 per game against Hawthorn. This is their second best differential recorded by any side. Hawthorn has averaged 58 points per game from its intercepts this season, which has them ranked third in the competition. Welcome to SCG for the Sydney Swans v Hawthorn Round 23 clash. 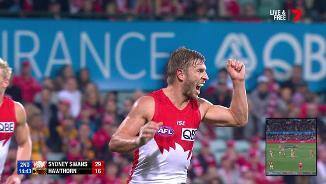 HAWTHORN has sealed a top-four spot with a thrilling nine-point win over Sydney at the SCG, with the two fierce rivals involved in another classic encounter. As expected superstar forward Lance Franklin was a late withdrawal from the match with a groin injury, but the home side was dealt a double blow when Luke Parker was also ruled out with the same issue. The Swans led for most of the night but the visitors came back from 12 points down early in the final term and booted five goals to two for the quarter, including the last three, to prevail 12.11 (83) to 10.14 (74). 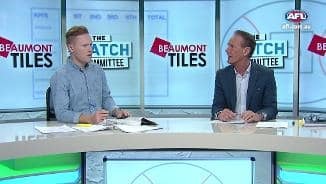 The result means Hawthorn will play either Richmond or Collingwood in a blockbuster qualifying final at the MCG, while Sydney will host an elimination final against either crosstown rivals Greater Western Sydney or Geelong. Ruckman Ben McEvoy was an enormous presence for the Hawks, while Liam Shiels (26 possessions and seven clearances) was an influential midfielder and won his entertaining duel with Swans captain Josh Kennedy, and Paul Puopolo kicked three crucial goals. Youngsters James Worpel and Harry Morrison had some important moments, as did the evergreen Shaun Burgoyne. 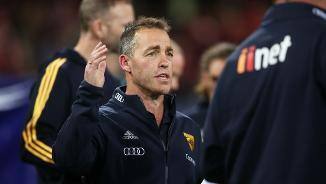 Hawthorn coach Alastair Clarkson praised his experienced players for getting themselves back in the game and said his side were much better in the clinches after half-time. "We were down and out in the first and Sydney outplayed us in a lot of areas of the game and that's why you need the (Ben) Strattons and the (Jack) Gunstons and the (Jarryd) Rougheads to keep composed," he said. "That's what I said to the players at half-time. The game would turn but we needed to get our contested work going in the second half to be any chance against Sydney because that's their greatest strength and always has been. "They left us in their wake in the first half and we were able to turn it around in the second half." SEPTEMBER CALLING Where will your club finish? George Hewett did a fantastic job in limiting the effectiveness of Brownlow Medal favourite Tom Mitchell (24 disposals) and gathered 24 touches himself, 18 of those contested, to go with a game-high 12 clearances and six tackles. Dane Rampe, Harry Cunningham and Jake Lloyd were other good contributors for the Swans. 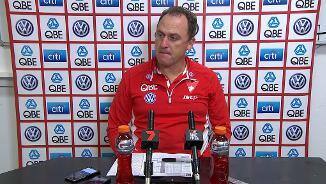 Sydney coach John Longmire was pleased with his side's effort despite the result. "I think we played some pretty good footy to be honest, I thought we had a real go," he said. "We gave ourselves a chance to win it, regardless of personnel being in or out. "We made a couple of errors in the last quarter and got a couple of things wrong at important times, we didn't kick as accurately as we should have, so with those things all rolled into one, we sit here as losers." 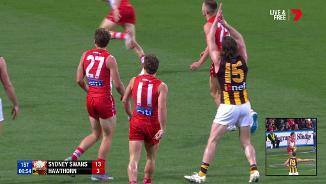 Just as he did earlier in the season Hewett went to Mitchell at the opening bounce but he wasn't the only Swan to get a job against the Hawks. Cunningham had a role on fellow speedster Isaac Smith, while the unheralded Dan Robinson played as a defensive forward on Ben Stratton. It took over 10 minutes of play for Sydney to kick the first goal of the match through Isaac Heeney, and while Tom Papley added a second, the Hawks answered with a couple of their own to lead by a solitary point at quarter-time. The Swans blew a couple of early chances in the second term but they finally took advantage of their momentum and reeled off four in a row, the last a gem on the run from outside 50 to skipper Josh Kennedy that put the home side 26 points up. Hawthorn managed to peg one back through Paul Puopolo, who was hardly sighted in the first half, and they added three more in a row after the main break to get the deficit back to a point. The Swans turned for home six points clear and Tom McCartin doubled the advantage early in the final term, but Puopolo hit straight back with a brilliant grubber from deep in the right forward pocket, and skipper Jarryd Roughead levelled the scores with a clutch set shot less than two minutes later. Callum Sinclair steadied the Swans and put them up by seven points but misses to Oliver Florent and Kieren Jack proved costly for the home side, when Harry Morrison and Ricky Henderson slotted two in a row to take back the lead. 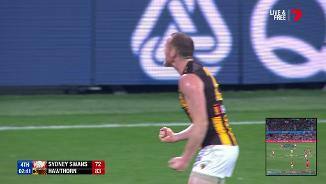 The Hawks then sealed the win after they caused a turnover across their own half forward line, and the experienced Roughead drilled a long pass to Breust who marked in the goalsquare, and made no mistake from point-blank range. Sydney: Dan Hannebery copped a corked thigh in the second half but played out the match. 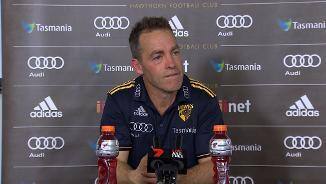 Hawthorn: The Hawks got through the last game of the season without any worries. 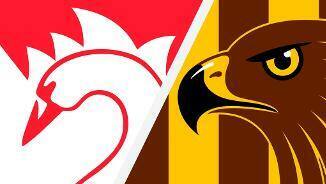 The Hawks have locked in a double chance and will be at the MCG in week one against either Richmond or Collingwood. Sydney will host an elimination final against either GWS or Geelong.